Erkki Huhtamo is a media archaeologist, professor, writer and exhibition curator. He pays particular attention to elements that emerge over and over again in media history and provide "molds" for experiences; what may seem new often proves to be just new packaging of ideas repeated during hundreds of years. Erkki Huhtamo has applied this approach to phenomena like games, mobile media, and the notion of the screen. 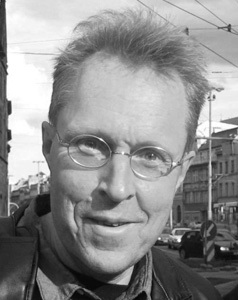 Erkki Huhtamo has created many media art exhibitions, served in numerous exhibition and festival juries, lectured worldwide, and written and directed TV programs about media culture. Moreover, he has created the multimedia performance Musings on Hands with media artists Golan Levin and Zachery Lieberman.